GALVEN AND NUR ELIANA WINS SEARCH FOR MALAYSIAN TIGER!!! SHAH ALAM, DEC 7 – Galven Kendall Green from Selangor has won the 2014 Proton-TSM Golf Challenge Championship under the boys category. He ended the tournament finals with a 77 five above, accumulating 290 strokes over a four day tournament here at the Glenmarie Golf and Country Club. In the Girls category, 17 year old Malacca player Nur Eliana Ariffin secured first place in yesterday’s semi-finals and today’s final round despite the fierce competition, bringing home the coveted trophy under the Girls category. She grossed a total of 300, coming in with 77 five above. Elated by her victory, she says that it was indeed a tough match and didn’t expect to win. Eliana came in third in last year’s tournament. In a surprise move by Modenas, Eliana will also be given a motorcycle as a reward for her Hole-in-One on hole 12 yesterday. Low Khai Jei comes in second place as he cards a strong 71 one under, finishing a stroke below Ervin Chang who grossed 294. 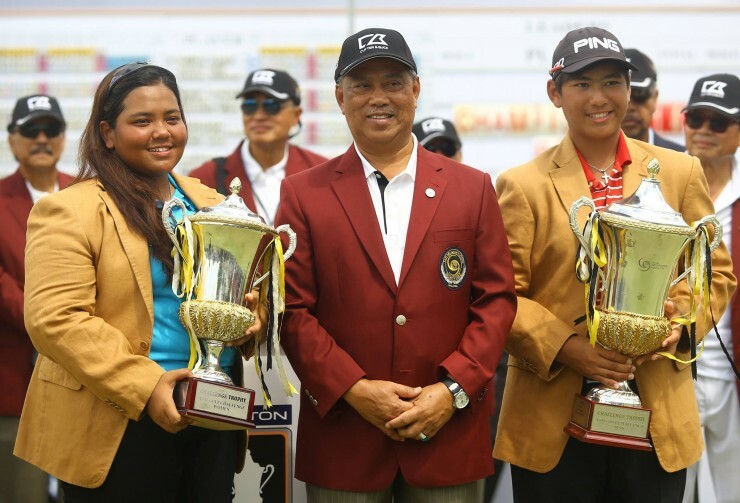 Suzairi Iqmah from Sabah rose one step from fifth place, scoring 78 six above while Mohd Afif Razif from Penang jumps four spots through a total of 302 strokes. Loy Hee Ying from Johor fell 2 spots to fourth place, through 80 eight above and a 306 gross total. Sarfina Vinota Seretharan from Kuala Lumpur comes next at fifth with a 78 six above and a 310 gross total. Winners receive Tan Sri Muhyiddin Charity Golf Scholarships where champions are awarded RM50,000 for the Boys and RM40,000 for the Girls. Runner ups would receive up to RM25,000 depending on ranking and category. For other winners of 4th to 10th places, the prizes will be awarded in the form of vouchers and/or reimbursement for claims for coaching fee, purchase of golf equipment, and other out-of-pocket expenses for training and tournament expenses for the development of golf only. 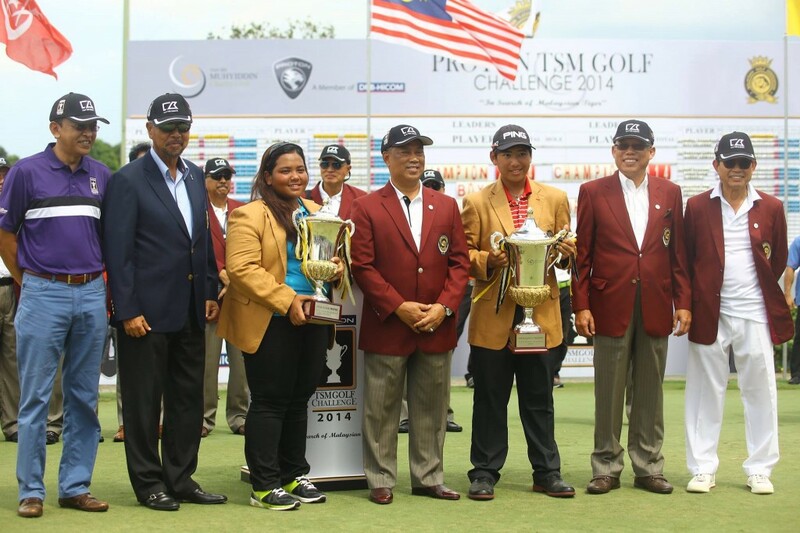 They received their prizes from Deputy Prime Minister, Tan Sri Muhyiddin Yassin who is the founder of the TSM Charity Golf Foundation. In his message, Tan Sri Muhyiddin Yassin mentions that he hopes that all the contenders are able to use the experiences gained during this four day championship to take part in other amateur tournaments. They are keen to nurture the potential in each of them so that it will continue to develop, effectively pushing national excellence further. 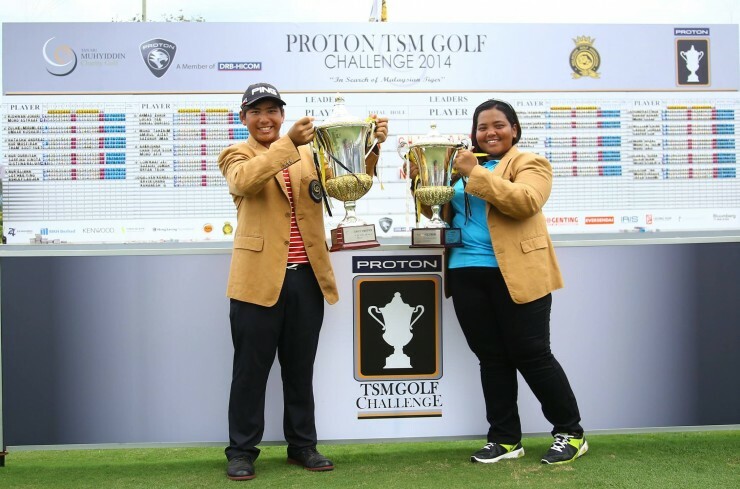 No one managed to successfully score a Hole-in-One in hole five during the competition, which would have won the achiever a brand new Proton Iriz 1.6 Premium, provided by Proton Holdings Berhad who is the championship title sponsor.